They have yet to learn what "worst case" really means. Shiki episode 2 managed to build solidly upon the excellent start made last week to this small town horror story. I was very impressed with the sound work; I’m not sure I would enjoy listening to the OST, but it was very effective at creating a mood of suspense. This episode really opened up the characters and our understanding of the town. We also get several more deaths, and a well-intentioned, but somewhat naive resolution to save the village. Aaww! She died of a broken heart. 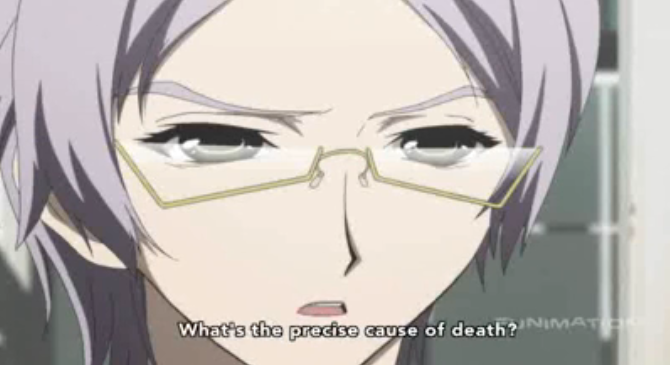 The episode begins with the aftermath of Megumi’s death. I was glad to see that Doctor Ozaki was sincerely disturbed by Megumi’s death, and regretted that he hadn’t done more for her. 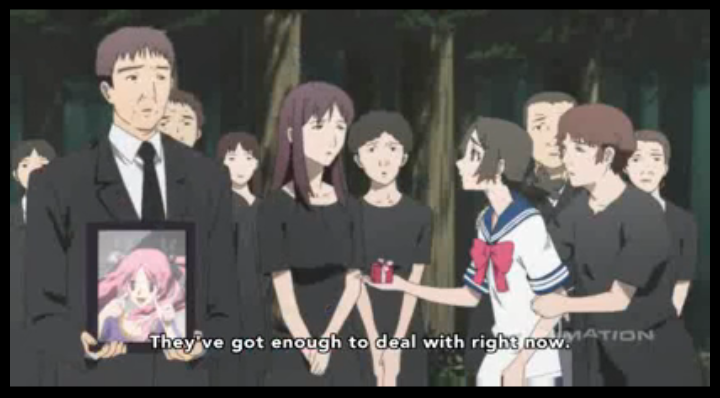 Unfortunately, Natsuno Yuuki acts like a jerk at Megumi’s funeral. Instead of making a simple gesture that would cost him nothing, he voices utter indifference to Megumi’s childhood friend, Kaori. Funerals are really performed for those who are left behind, and it shouldn’t take a person with unusual perception (such as bou-san Muroi) to realize that Kaori is grieving, and looking for a way to bring some closure to this relationship. The first half was interesting in that it gave us a chance to see the doctor’s contrition, his (failed) attempt to get permission for an autopsy, the community support for the grieving family, Kaoru’s personal grief, and her realization that even her own death could happen at any time. It also gave the first of two opportunities for us to get a bird’s eye view of the village. Sotoba Village with points of interest indicated. While Seishin Muroi, and the other monks of the local temple, drive out to Megumi’s house for the funeral services, he comments that the shape of the village is triangular, like a spear-tip. 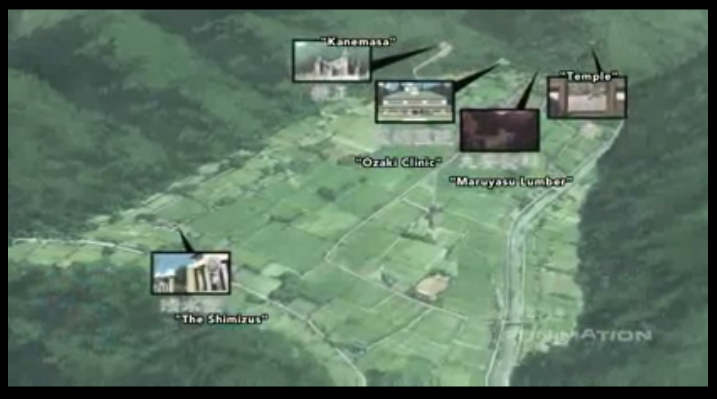 I really liked them placing various locations on a map, as it helped to make Sotoba village seem like a real place. You can see on the map, above, that Kanemasa (the castle-like mansion into which the Kirishiki household recently moved) is located up into the wooded mountainside, out of the triangular plain that contains most of the village. This episode featured our first visit to the temple and the clinic, also marked on the map above. 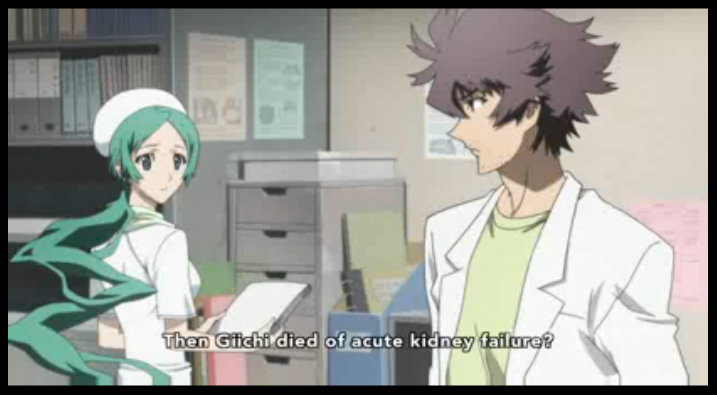 Nurse Ritsuko Kunihiro on the left.You gotta love that hair! We met several new villagers, some of which have already died. One that was featured, both in the discussions at the clinic, and in a chance meeting with Natsuno Yuuki, was Ritsuko Kunihiro, a nurse at the clinic. Hashihime has a post about Ritsuko’s seiyu (Nozomi Sasaki), which includes a translation from her blog. Finally we get to the scene I was hoping to see. Last week I called out Doctor Ozaki for being a bit glib with his diagnoses. One of my concerns was that doctors are often assumed to know their stuff, and most people don’t have the knowledge or confidence to second guess them. Ozaki’s pronouncements carry the weight of authority. They also sound plausible: heart failure, kidney failure. Fortunately there is someone in town who is learned enough, and confident enough, to ask, “Why? 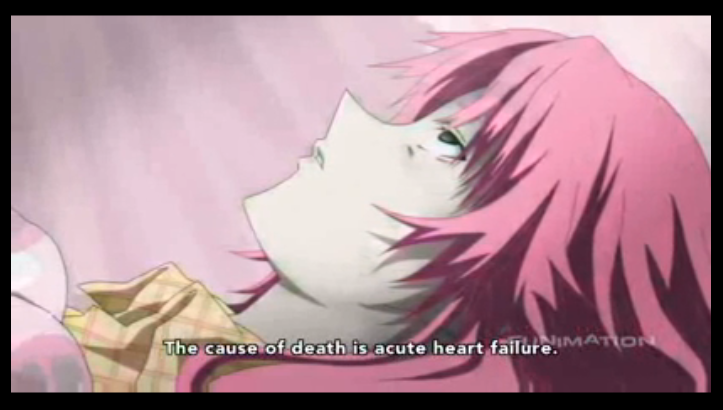 Why did the heart fail? Why did the kidney fail?” It isn’t surprising that the person wasn’t someone from the clinic; second-guessing your boss is generally frowned upon. The fact that bou-san Muroi forced the issue this soon is really good news, as Ozaki clearly needed a kick in the pants to get the investigation started in earnest. The sound work is impressive indeed, really atmospheric. Love the distinct ‘voice’ the show is already developing. 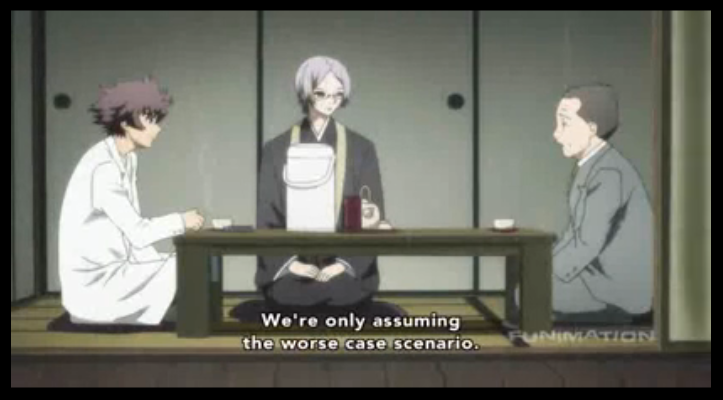 I actually found Natsuno’s reaction pretty refreshing actually, why should he have accepted it? The fact that he turned up was a pretty big deal given the girl was STALKING him. And the whole medical staff/ fountains of knowledge losing the plot added to the increasingly horrifying atmosphere – when your own Dr doesn’t know what’s going on, thing’s clearly ain’t looking good! Well, I have to admit that she was stalking him, and no one should be pestered like that. On the other hand, his attitude of “I don’t owe the world anything,” is utterly self-defeating. No, maybe he didn’t owe it to Megumi, to take the card, but does it really hurt him to accept the card from Kaori? She is the one hurting. Maybe he doesn’t owe Kaori anything either, but is that the only reason to do things in this world? And what happens after you cut off every person that you don’t owe anything to? No man is an island, entire of itself … Any man’s death diminishes me, because I am involved in mankind.